We are delighted to announce that Professor Rickey Yada has been appointed the next Dean of the Faculty of Land and Food Systems. Professor Yada’s five-year term will begin on October 1, 2014. Our current Dean, Murray Isman, will step down after an eight-year term on September 30, 2014. Professor Yada is currently Professor of Food Science and Canada Research Chair in Food Protein Structure, and Scientific Director of the Food Institute at the University of Guelph. He is also Scientific Director of Advanced Foods and Materials Canada Inc. (AFM Canada), and the President-elect of the International Union of Food Science and Technology (IUFoST). Professor Yada brings a strong commitment to research, teaching and learning. He received his B.Sc. (Agriculture) in 1977, and his M.Sc. and Ph.D. (Food Science) in 1980 and 1984, respectively, from UBC. 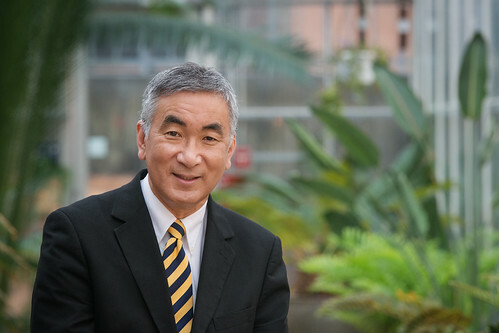 Posted in Latest News and tagged dean search, rickey yada on March 11, 2014 by ethanYVR.